Contact Name: Carrie Kavanagh, Secretary. 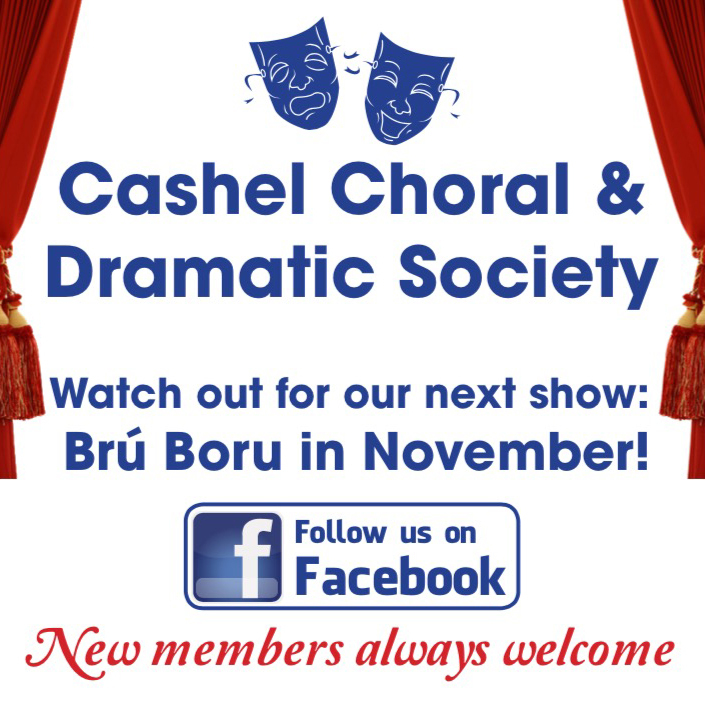 Cashel Choral & Dramatic Society was founded in 1935 and has over 80 years of superb productions to its credit. Over the last decade they have staged such varying productions as I’ll Get My Man, Blood Brothers, Factory Girls, Knocknagow, The Class of 77, See How They Run, Bookworms, No Dinner For Sinners, Same Old Moon and, most recently, Ladies In Retirement. 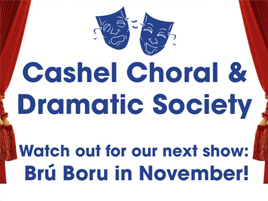 Plays are generally staged at the end of November every year in the beautiful theatre at Bru Boru. New members aged over 18 – both onstage and backstage – are always welcome!